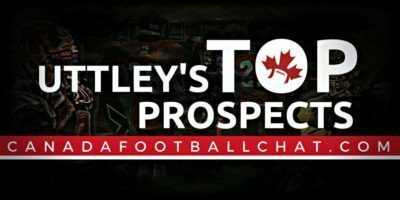 The Marauders add three out-of-province commits to their Class of 2017. 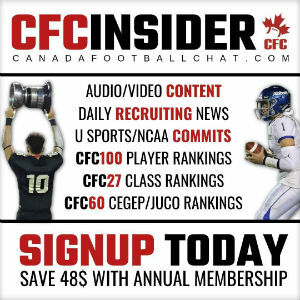 Slot back, CFC100 Trew Dancey, from New Westminster Secondary School, will be joining his fellow British Columbian commits, offensive lineman Justin Smith and athlete Stefanos Goulas from South Delta Secondary School, as the trio head to Hamilton, Ontario, to join the McMaster Marauders. 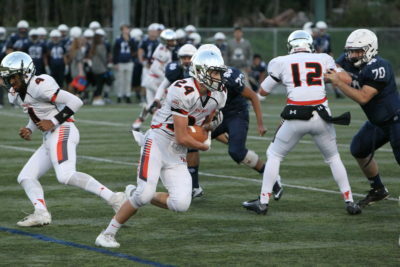 Standing at 6’1, 184lbs, Trew Dancey has spent five years playing with the New Westminster Hyacks (BC Secondary Schools Football Association) under Farhan Lalji, the team’s head coach. Well, it will only be a few months before the future kinesiology student can demonstrate his determination with the Marauders. 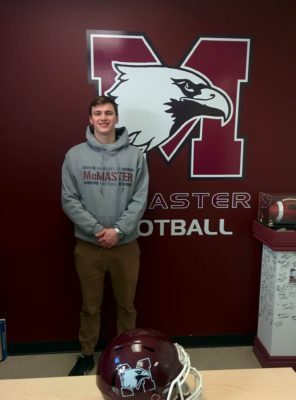 He said he chose McMaster because of the school’s great atmosphere, academic opportunities and football program. 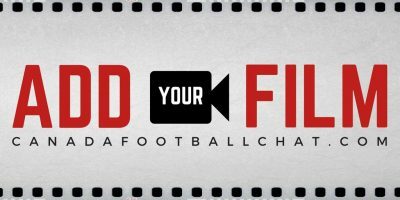 “(The coaches) provide a great atmosphere for the players. I feel welcome and apart of the group,” Dancey added. Trew Dancey carries the ball. By Alan Wardle. It’s not a far stretch that Dancey will make an impact on the Marauders. 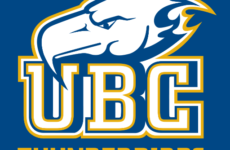 The product of New Westminster, BC, has won the David Sidu football scholarship award for the Hyacks. As to what be brings to a team, Lalji said athleticism and versatility. With one of his fledglings now flying away from the nest, Lalji has a few words of wisdom for Dancey. “Keep doing what you’re doing. Be as coachable as you’ve always been and stay committed to the preparation. And, as much as anything, enjoy every aspect of the next five years of your life. They will go by fast,” he said. Justin Smith (#55) stares down his opponent. Courtesy of Justin Smith. One of the South Delta Sun Devil (BCSSAA) duo, Justin Smith, echoed similar sentiments as his cross-town rival. “I chose McMaster because I liked the facilities, the coaches and all of the players. I found that the team was very close and all the players seem to be good friends with one another. It seemed like a perfect fit for me,” he said. 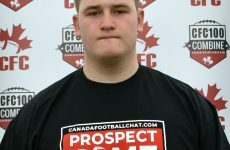 Originally from South Delta, BC, Smith has only played football for three years. 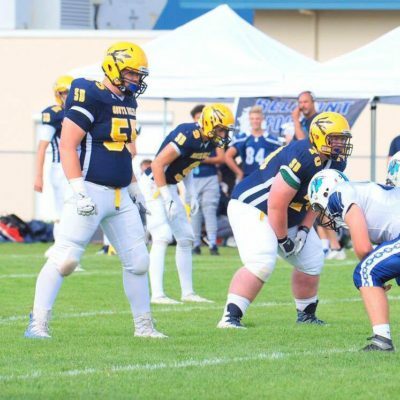 Standing at 6’4, 275lbs, he has suited up for the South Delta Rams along with the Sun Devils (Vancouver Mainland Football League). 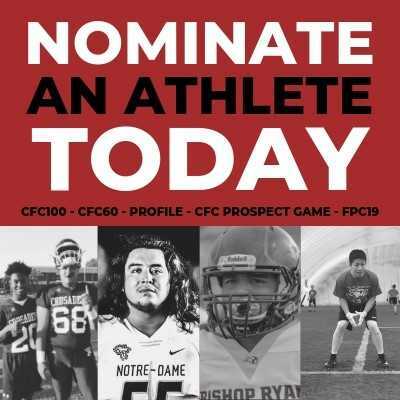 In 2014, he won a AAA BC high school provincial championship and a BC Community Football Association) provincial championship. Stefanos Goulas won’t be travelling east alone. He is the second member of the South Delta Sun Devils duo. 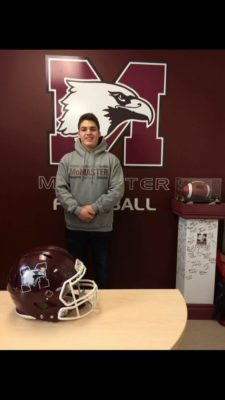 Hailing from Tsawwassen, BC, a suburban community in the southwest corner of Delta, Goulas said he was drawn to McMaster because of the school’s athletic and academic programs. 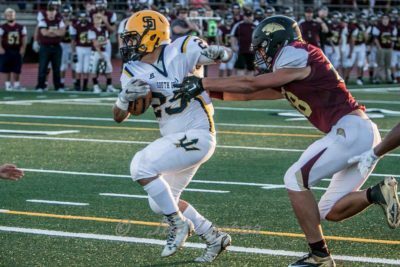 In his ten-year career, the 5’10, 215lbs Goulas has spent seven years with the South Delta Rams and two with the Sun Devils. In 2013 and 2014, he played in the Star Bowl. In 2015, he was an on the All-Star Youth team while in 2014 and 2016, he was part of Team BC. He has racked up quite a list of achievements in his playing career so far.